Katie teaches piano, violin, and viola students of all ages and abilities. She is also the owner and director of all programming at Mattix Music Studio. 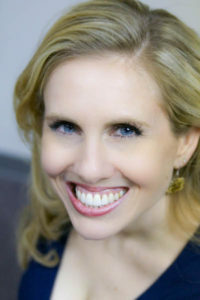 Katie has been teaching music lessons since 1999 and specializes in early childhood music education. She loves learning alongside the youngest musicians in the studio in Music Together® classes and Suzuki lessons. Katie enjoys empowering her students of all ages to learn and grow through rich musical experiences. With a deep passion for education, she works to enable every family at Mattix Music Studio to make music an integral part of their daily life. Parent education is a high priority and Katie’s families enjoy ongoing support for successful music practice and growth at home. She earned her Master’s degree in violin education from Northern Illinois University, where she studied with Mathias Tacke, of the Vermeer Quartet, and Ann Montzka-Smelser, famed Suzuki teacher trainer. During her undergrad, she studied with David Taylor, assistant concertmaster of the Chicago Symphony Orchestra. Her Bachelor’s degree is in violin performance with a piano minor from Moody Bible Institute. Other violin teachers include Dr. Robert Emile, former conductor of the San Diego Symphony, as well as violinist David Neely and violist Clark Potter. In her free time, Katie enjoys thinking up new ways to inspire her students, playing chamber music, and relaxing with her family. Octavio Montiel has a B.A. in Music from North Park University and a Masters Degree in Applied Piano Pedagogy at Northeastern Illinois University, where he studied with Susan Tang. He has earned the Leadership and Talent Scholarship from Morton College, and the Honors Music Scholarship from North Park University. Octavio implements healthy piano technique at an early age to develop good practice habits. His passion for teaching stems from his role at the Boys Club of Cicero. In 2006 he received the Youth of the Year Award from the Boys Club of Cicero for his service to the community and excellence in character. Octavio encourages the growth of our youth by staying involved with the Boys and Girls Club Organization. He continues to inspire people through his piano teaching and service to the community. Valerie Schierl studied Music, Art History and Psychology at Macalester College in St Paul, MN and at The University of Minnesota. Valerie has studied and played the cello for 43 years. She began studying the cello at age 4 with the Suzuki Method at MacPhail Center for the Arts in Minneapolis, MN. Her studies have included instruction from distinguished musicians and teachers such as Diane Tremaine, Claudette Laureano and Janet Horvath. Valerie has many years experience playing in various ensemble groups; from symphonies and chamber ensembles, to duets and quartets, to gigs with Mpls rock bands. Her first career led her into the field of behavioral psychology, working with young children who have communication and interaction disorders. Valerie has also explored studies linking the arts and psychology, such as Art and Music Therapy. Valerie is mom to 5 teenage kids (string players all!) and lives in La Grange Park with her husband, Michael. Valerie is now thrilled to be able to teach cello full time to all ages, from 4 years old to adult. Pursuing her true passion for music education, Valerie seeks to support the arts and partners with like-minded individuals to create resources and opportunities for youth and adults to experience the many joys of music and the visual arts. Mike Holland graduated from Columbia College Chicago with a Bachelor of Arts in Music, where he worked under Chicago pianist/composer/vocalist Philip Seward and majored in Instrumental Performance-Keyboard. Mike is also trained in Modern, Pop, and Film Score, Classical and Baroque Performance, and music theory. Since graduation, Michael has maintained a steady practice of private piano lessons. Working with students aged three to adult, he enjoys seeing new students improve over an extended period of time. Mike finds the Suzuki pedagogy fascinating and is available to teach its syllabus for any new students. He also enjoys playing as a lounge pianist at several Mariano’s stores. Aside from piano, Mike enjoys digital music production using the Ableton Live DAW (digital audio workstation). Sharon is a piano teacher at Mattix Music studio and accepts students ages three to adult. She is on the piano faculty at Morton College, and also enjoys an avid freelance career as a collaborative pianist and music director. Some of her favorite Chicago-area performances include playing with her trio at the Lyric Opera, accompanying recitals at DePaul University, and performing at PianoForte’s Schubertiade festival. She is passionate about music education for children. She regularly music directs workshops for young musical theater performers with BAMtheatre, and directs children’s music at her church. Sharon is also a registered Suzuki teacher. Sharon has a her bachelor’s degree in piano performance from Ithaca College, a master’s degree in piano performance from the Cleveland Institute of Music, as well as a professional studies diploma in collaborative piano, also from the Cleveland Institute of Music. Violinist Cara Schlecker, alumna of The University of Michigan and the Robert McDuffie Center for Strings, is currently an Associate Member of The Civic Orchestra of Chicago. 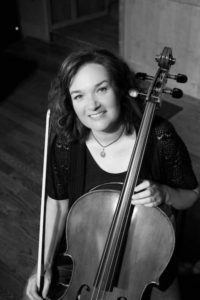 She has participated in master classes and studied under artists such as: Ruggiero Ricci; Alice Schoenfeld; Shmuel Ashkenasi; Christopher O’Riley; Chee-Yun Kim; Robert McDuffie; David Yonan; Amy Schwartz-Moretti; Emerson String Quartet; St. Lawrence String Quartet; Brentano String Quartet; Cavani String Quartet and Orion String Quartet among others. Completing her Suzuki Teacher Training at The University of Michigan and a former Suzuki student herself, Ms. Schlecker has a passion for helping her students find joy and confidence in music making. She accepts violin and viola students at all ages and abilities. 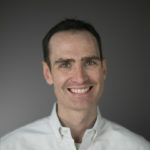 Dan Mattix is a piano, organ, composition, and voice teacher at Mattix Music Studio. He welcomes students age six to adult, and offers integration lessons. Dan enjoys helping each student grow as a person as well as a musician, incorporating elements of technique, theory and history into each lesson. 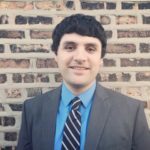 Dan is also the music director at a church in Western Springs, and an adjunct professor of music at Moody Bible Institute. 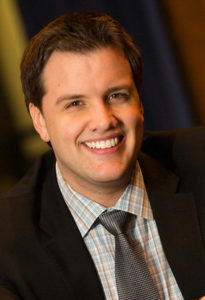 He earned his master’s degree at the University of Iowa, where he studied piano with Réne Lecuona, voice with John Muriello and conducting with Timothy Stalter. He holds a bachelor’s degree in music. Dan has taught in the public schools at the elementary, middle and high school levels; and also works as a singer, vocal coach, accompanist and conductor. Nissa Anderson has loved music for as long as she can remember. She started playing the violin at age nine and participated in orchestra from fourth grade until she graduated from Lake Forest College in 2016, having studied the violin intensively under Rolando Freitag and Dr. Kate Carter. Interested in both musical performance and education, Ms. Anderson received her music education degree to become not only a diverse performer, but a capable educator. Since college, Ms. Anderson has focused on honing her skills as an educator, having taught in both public school and private lesson settings. Always looking to improve her teaching skills, she has also begun her training in the renowned Suzuki method, studying under Dr. Tanya Carey and Ed Kreitman. She continues to develop her skills as a violinist, having recently performed with the Chicagoland Educator Orchestra, and remains an active performer in the Chicagoland area. Want to become a Mattix Music Studio instructor? We’re always glad to meet new friends who want to teach at our studio. If you’re interested in joining our faculty, please send your resume and any additional information to Katie@mattixmusic.com.